In Multi-Disciplinary Engineering (MDE) environments, engineers coming from different disciplines have to collaborate. Typically, individual engineers apply isolated tools with heterogeneous data models and strong limitations for collaboration and data exchange. Thus, projects become more error-prone and risky. Although Quality Assurance (QA) methods help to improve individual engineering artifacts, results and experiences from previous activities remain unused. 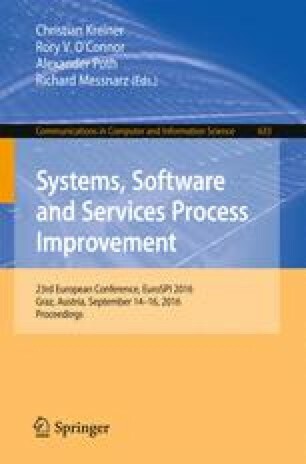 This paper describes a Collective Intelligence-Based Quality Assurance (CI-Based QA) approach that combines two established QA approaches, i.e., (Software) Inspection and the Failure Mode and Effect Analysis (FMEA), supported by a Collective Intelligence System (CIS) to improve engineering artifacts and processes based on reusable experience. CIS can help to bridge the gap between inspection and FMEA by collecting and exchanging previously isolated knowledge and experience. The conceptual evaluation with industry partners showed promising results of reusing experience and improving quality assurance performance as foundation for engineering process improvement. Parts of this work were supported by the Christian Doppler Forschungsgesellschaft, the Federal Ministry of Economy, Family and Youth, the Austrian National Foundation for Research, Technology and Development, and the TU Wien Doctoral College on Cyber-Physical Production Systems.